This restaurant is no longer trading. 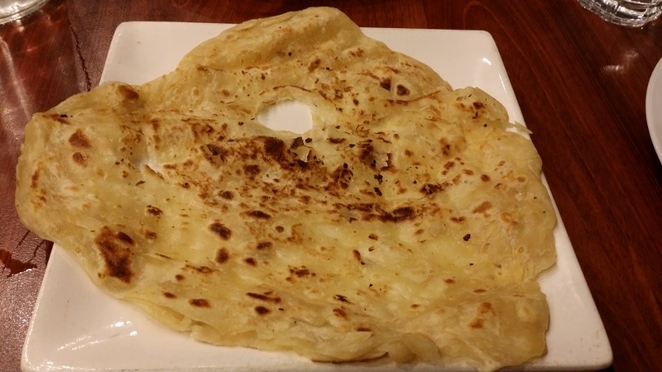 As suggested by the name of an ingredient that plays a key role in the presentation of Indian cuisine, Banana Leaf Indian Restaurant on Currie Street specialises in Indian cuisine. Ambience of the restaurant was good with a good amount of seating places. We did not have to wait long for our dishes, but the staff warned us the wait time can be a bit long if you ordered some of their chef's specials. We ordered Stuffed Chicken Parata, Egg Dosa, Plain Parata and Egg Parata to go with Madras Chicken and Beef Vindaloo curries. 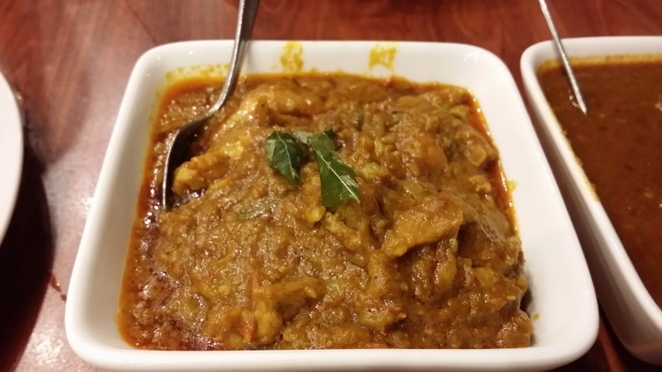 The chicken in the Madras Chicken was tender and the curry gravy helped to bring out its flavour. It also had the right amount of spiciness that it can be enjoyed repeatedly. 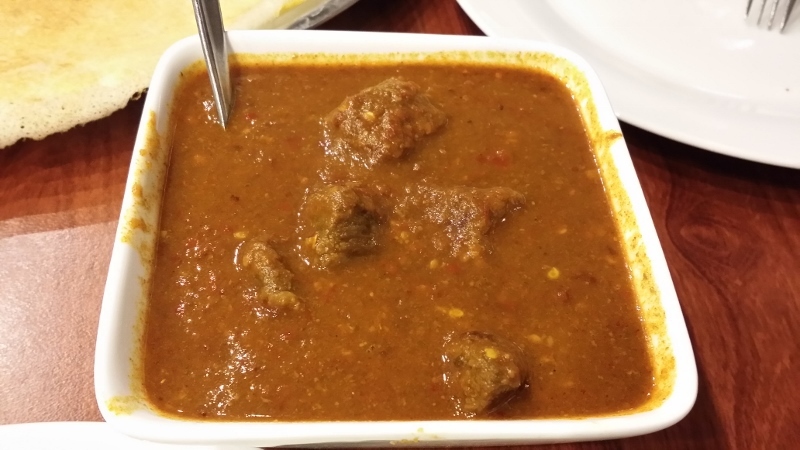 While the beef in the Beef Vindaloo was a bit tough, the gravy still had the slightly sour and spicy flavour vindaloo curries are known for. As expected from a vindaloo curry, the dish is very spicy so be warned if you not used to spicy food. 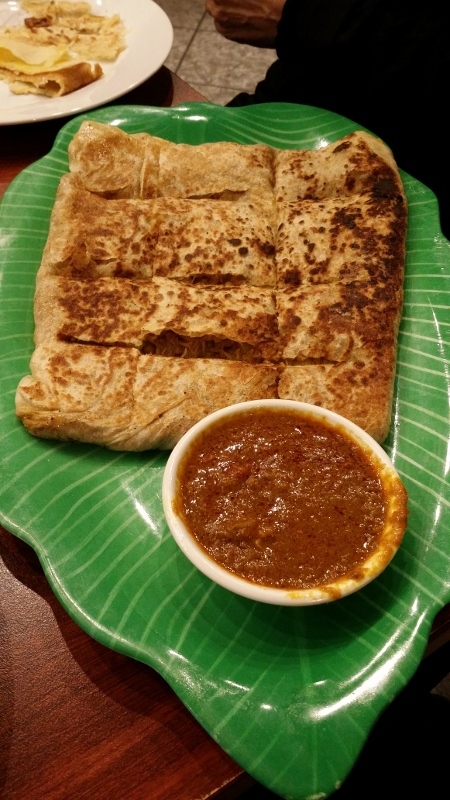 There was a wait of about 15 minutes for the Stuffed Chicken Parata (Murtabak) but the wait was worth it as the dish had a succulent spiced chicken filling that was perfectly contrasted by the crispy Parata. It came with a serving of chutney to dip the Murtabak in and the serving size was generous enough to be shared with a companion. 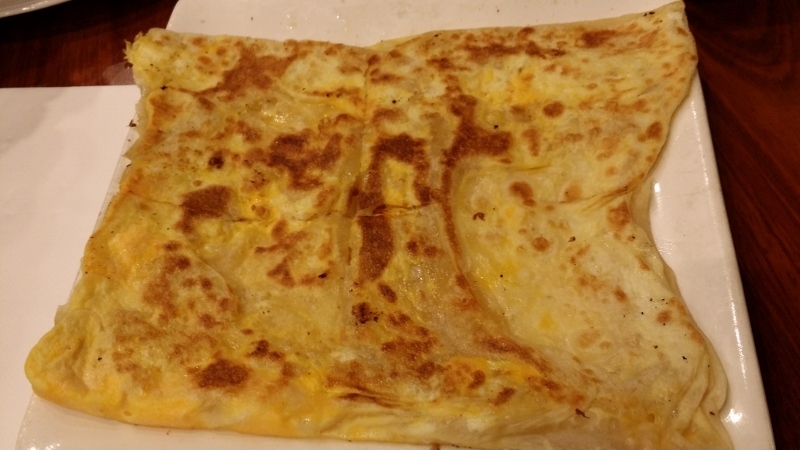 We would have liked the serving size of the Plain and Egg Parata to be a bit bigger, but both dishes were cooked just right, their plain flavour contrasting nicely with the spicy curries. 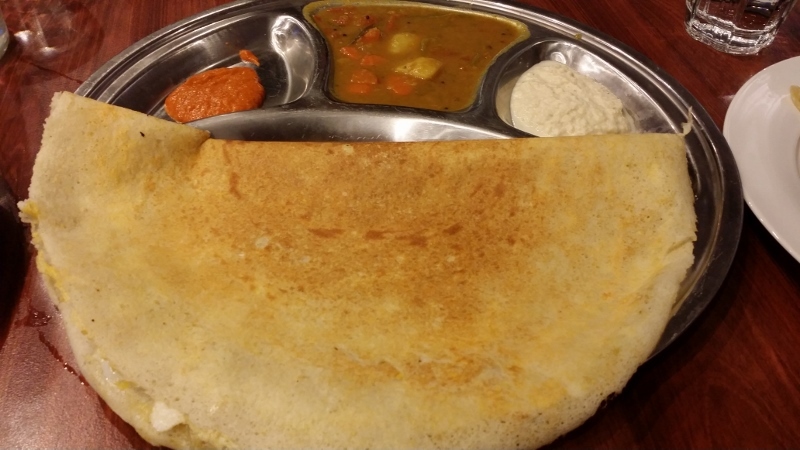 Banana Leaf also serves a range of Dosa dishes, with the option of having it cooked soft or crispy. The Egg Dosa we had was cooked to perfection, the egg filling complementing the dosa wonderfully. It came served with chutney, vegetable curry and coconut sauce to dip the dosa in, with the chutney and coconut sauce going well together. Banana Leaf offered one hour free parking at the Topham U Car Park if you dine there at a certain time from Mondays to Saturdays and spend more than $40 in a single bill. They also offered $10 lunchtime specials.